It’s all over at Turf Moor and Burnley have secured their first Premier League win since January thanks to George Boyd’s second half goal after a wonderful run from Jeff Hendrick. Stoke were the better side for 10 minute spells either side of the break, but failed to create any clear cut opportunities against an extremely well organised Burnley defence. That’s all from us for today, thanks for joining us and we hope you can join us again soon. Pieters once again commits a needless foul, this time on Boyd just inside the Burnley half, and Heaton slowly makes his way out to the ball as Burnley look to see out the remaining minutes. Barnes and Martins Indi clash once again which draws a huge cheer from the home fans, but the referee just takes the players to one side and diffuses the situation. Barnes then wins a free-kick from Pieters close to the corner flag in the Stoke half, but unsurprisingly there are no Burnley players in the penalty box as they look to keep the ball in the corner. We’re into six minutes of added time at the end of the game at Turf Moor. Boyd is also shown a yellow card for kicking out as he looked to hold off the Stoke defenders close to the corner flag. He won't mind too much though as it will take a few more seconds out of the game. Martins Indi is shown a yellow card by referee Friend for a coming together with Barnes off the ball. That was clever if not slightly cynical from the Burnley striker as he wound Martins Indi up and drew the reaction from him. It looks as though Tarkowski is sitting just in front of his two centre-halves, and while Stoke are seeing plenty of the ball, they are struggling to get the ball into Crouch and Arnautovic in the Burnley penalty area. And Stoke are also going to make another substitution as they desperately search for a late equaliser. Allen is the man who makes way to be replaced by Ibrahim Afellay. A third and final change for Burnley now as James Tarkowski comes on in place of Vokes. A lovely piece of skill from Adam creates half a yard of space for himself on the right-hand side and he whips in a delightful cross towards Shawcross in the middle, but the centre-back can only head the ball high over the bar under good pressure from Keane. Crouch brings the ball down on his chest inside the Burnley penalty box and is just about to shoot, but the referee’s whistle goes for a push on Lowton by the striker, and the look on his face following the decision suggests he knew exactly what he was doing there. Stoke are starting to look more dangerous with Crouch on the pitch now, with Arnautovic and Diouf playing up alongside him in a front three. Burnley are extremely well organised at the moment though. A chance for Crouch as the ball falls to him at the back post after a header back towards goal from Martins Indi, but with his back to goal he can only direct his bicycle kick into the side netting from a tight angle. Another change for Burnley now as Ashley Barnes replaces Gray in what looks to be a like-for-like substitution. Adam is shown a yellow card for a foul on Vokes, although in truth that’s probably a result of a number of fouls tonight from the Scotland international. Superb determination from Crouch as he stretches out to block Ward’s attempted clearance, but the substitute has very little support close to the right-hand corner flag and Burnley are able to get back in numbers and regain possession. Stoke with a rare venture forward as Arnautovic gets the ball into his feet on the edge of the Burnley penalty box and looks to turn away from Mee down the left-hand side of the area, but the centre-half does extremely well to force the Austrian out wide without diving in, where he eventually runs the ball out for a goal kick. A first change for Stoke as they look to find a way back into this game with Peter Crouch coming on to replace Berahino, who’s been pretty quiet and ineffectual in the second half. Arnautovic gives the ball away to Barton inside his own half and the Burnley midfielder spreads the ball wide to Brady in space on the left, but his well struck shot is blocked by Shawcross, although there are one or two suggestions that it may have been with the arm. Close! This game has really swung in Burnley’s favour now and they come close to doubling the lead as Hendrick hits a low first-time volley towards the bottom corner from 20 yards out which takes a wicked deflection off Shawcross, but fortunately for Stoke the deflection takes all the pace out of the shot and Grant is able to scramble back across his goal and gather it in. Stoke are just showing one or two signs of panic now as a breakdown in communication between Grant and his back four results in a corner being conceded somewhat unnecessarily. Brady though cannot beat the first man. Pieters is back on the field of play but Burnley are looking the more dangerous of the two sides and the home crowd are getting behind them at every opportunity now. Pieters is down receiving some treatment after a nasty looking challenge from Lowton. The rest of the Stoke players didn’t seem to upset with the challenge but Pieters looks to be in some discomfort, although he’s back to his feet now and looks set to continue. Stoke look to hit back immediately as Allen lifts the ball back into a dangerous area following a Stoke corner and Diouf looks to get on the end of it, but Mee reacts quickly to the danger and heads the ball away from before the wing-back can get on the end of it. Hendrick showed some superb footwork to skip past the Stoke defenders before getting his head up and picking out Boyd. GOOOOAAAALLLLLLLL!!!! Boyd gives Burnley the lead!! Hendrick goes on an outstanding run past several Stoke defenders and into the Stoke penalty box on the left-hand side before rolling the ball across the middle of the penalty area, where Boyd is waiting to calmly slot the ball home from 10 yards out. A first change for Burnley as Defour is replaced by Robbie Brady. Burnley are finally starting to get a foothold in this game now as Gray and Hendrick link up down the right-hand edge of the penalty box before the latter crosses towards Boyd and Vokes in the middle, but he can only pick out a Stoke defender and the visitors then break forward quickly through Arnautovic on the left, but having picked out the onrushing Adam just inside the penalty box, the chance goes begging as the Scottish midfielder sidefoots wide from 15 yards out. Much better from Burnley as they attack down the right-hand side once again but Boyd is flagged offside having received a short pass from Lowton and the move breaks down with Gray and Vokes waiting in the middle. That was pretty careless from Boyd as he could see right along the line and was stood just in front of the linesman. The home fans are desperately trying to get behind their side as Boyd wins a corner off Cameron in the right-hand corner. Burnley haven’t really got going at all in this second half so far. A slight breakdown in communication at the back for Burnley as Ward needlessly heads the ball behind for a corner despite not being under any pressure at the back post. Fortunately for the left-back though Adam slips as he goes to take the corner and ends up handling the ball, drawing an embarrassed grin from both Mark Hughes and Adam. A really positive start to the second half for Stoke as Allen’s cross from the by-line on the right-hand side is headed clear by Mee, but only as far as Adam just outside the penalty box, but he can’t take advantage of the chance as he first drills an effort straight into Boyd before scuffing the rebound wide of Heaton’s goal. Kick-off! Referee Kevin Friend blows his whistle and Stoke get the second half underway. 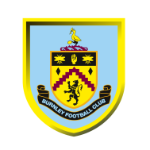 Burnley have really struggled to break down Stoke’s packed midfield, who have protected their back three extremely well, and Sean Dyche may well turn to Robbie Brady or Ashley Barnes on the bench early in the second half in an attempt to find a way through. Mark Hughes meanwhile will be hoping his side can start the second half the way they finished the first, when they started to look far more threatening than they did for the opening half an hour. Neither side have been able to create many meaningful opportunities in the first half, with Adam’s near-post header straight at Heaton the closest either side have come to opening the scoring in what has been a pretty scrappy 45 minutes. There’s going to be just one minute of added time at the end of the first half. A good effort from Adam as he glides past Barton and Hendrick before hitting a ferocious drive from 25 yards out, but it’s straight at Heaton who gratefully holds on above his head. Burnley may well be looking forward to the break now as Stoke are starting to establish some control in this game. Barton gives the ball straight to Diouf with an ambitious cross-field pass and the wing-back plays the ball down the right-hand channel for Arnautovic to chase, but Ward gets across and makes a good tackle on the Austrian. Stoke are starting to look dangerous going forward now, forcing another corner which is this time taken by Adam, but he fails to beat the first man and the pressure is relieved. Stoke certainly look a threat from set pieces though. Save! Adam gets across the Burnley defenders at the near post and flicks a header towards goal from Arnautovic’s corner, but it’s straight at Heaton who holds on well with several bodies around him. Gray does superbly well to steal the ball away from Martins Indi just outside the Stoke penalty box, but the ball won’t sit down for him to shoot allowing Ryan Shawcross to get across and the knock the ball away. Stoke then break forward quickly on the counter attack before Arnautovic’s 25-yard shot is deflected wide of the post for a corner. Ward goes flying into Diouf as the Stoke wing-back knocks the ball past him after a poor clearance from Grant. It may have only been a coming together but Ward will certainly want to be careful as he has already been booked. The crowd are finally starting to get into this game now with several boos aimed at Allen every time he gets on the ball. It appears to be giving Stoke a lift though as they’ve certainly improved in the last few minutes. Barton has been shown a yellow card for bringing down Adam in the build up to that Arnautovic chance, although the referee did let play continue at the time. Chance!! A chance for Arnautovic as he’s clean through on goal after being played in by Berahino, but his control lets him down as he knocks the ball far too far ahead of himself and Heaton is able to collect it. Lowton skips past Pieters with a lovely piece of skill down the right-hand side and looks to pick out Gray with an early cross, but Muniesa is alert to the danger and sticks out a leg to divert the ball away. Geoff Cameron slips a lovely pass into the path of Adam down the left-hand edge of the Burnley penalty box, but his low cross towards Berahino is intercepted and cleared away before it could reach the striker, who was waiting unmarked at the back post. Stephen Ward gives the ball away to Mame Biram Diouf close to halfway on the Burnley left and cynically pulls him back as he looks to chase him down. The free-kick comes to nothing in the end but Ward is shown a yellow card for the foul. Lowton gives the ball away cheaply close to halfway and Arnautovic looks to pick out Berahino with an early ball over the top, but Mee gets across well and although he is bundled to the ground by the Stoke striker, he does enough to prevent him getting on the end of it, allowing Heaton to gather the ball with ease. Chance! The best chance of the game so far falls to Burnley as Mee pulls away at the back post from the free-kick and has a free header seven yards out from goal, but he can only direct it straight at Lee Grant from a tight angle. He may have been better looking to direct that back across goal into the danger area rather than going for goal himself. That move appears to have sparked the game and the crowd into life and Burnley are awarded a free-kick on the right-hand side as Marc Muniesa needlessly pushes George Boyd to the ground. Stoke break forward at pace through Allen and Berahino before the latter picks out Arnautovic in space 35 yards out from goal with a sweeping cross-field pass. The Austrian then chooses to go for a goal and strikes a fierce effort into the body of Mee drawing appeals for handball from the Stoke players, but referee Friend isn’t interested and waves play on. The Burnley fans make themselves heard for the first time in the game as their back four crowd out Berahino and prevent a potentially dangerous Stoke attack. This game really hasn’t got going yet though. Joey Barton looks to spread the ball across the field of play towards Matt Lowton on the right-hand side, but the ball is a poor one and goes straight out of play for a throw-in. That's perhaps just the first sign of frustration from Burnley who will have to remain patient if they’re to break this Stoke defence down. Sean Dyche is barking orders to his side from the edge of his technical area but he’ll be relatively pleased with the way they’ve started, although he’ll be eager for them to turn possession into some meaningful chances. Gray skips past Charlie Adam out wide on the right-hand touchline and draws the foul from the Scottish midfielder, but Steven Defour’s free-kick is a poor one and Ben Mee can only flick it over the heads of all of his teammates in the box, allowing Stoke to easily clear the danger. The Burnley back four are seeing plenty of the ball in these opening stages but they’re struggling to find any way through the crowded Stoke midfield, who force the ball all the way back to Tom Heaton in the Burnley goal. Mark Hughes is already patrolling his technical area as Saido Berahino is flagged offside. It looks as though Arnautovic is going to tuck in alongside Joe Allen for Stoke and leave Berahino as the lone striker. A bright start for Stoke down the left-hand side as Marko Arnautovic slips a short pass into the path of Erik Pieters who’s made a good overlapping run down the outside of the penalty box, but Michael Keane positions himself well and intercepts the low cross at the near post. Kick-off! Andre Gray gets the game underway for Burnley. The players are making their way through the tunnel and out onto the pitch, led by referee Kevin Friend. Kick-off is not far away now. 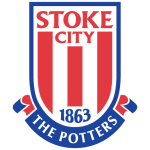 Muniesa and Walters both scored first-half goals as Stoke eased to a 2-0 win when the sides met at the bet365 Stadium earlier in the season, but they have not completed a league double over Burnley for nearly 30 years. Mark Hughes makes four changes to his Stoke side including bringing in Marc Muniesa in place of Glen Johnson, meaning a switch to three at the back. Mame Biram Diouf, Geoff Cameron and Charlie Adam are the others who come into the side, with Jonathan Walters, Ramadan Sobhi and Glenn Whelan all making way. 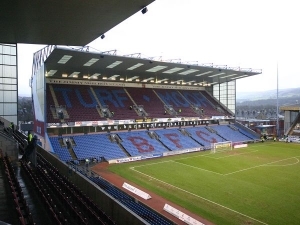 Burnley make two changes from the side that started against Spurs, with Steven Defour replacing Scott Arfield on the left of midfield, while Sam Vokes comes in to partner Andre Gray up front in place of Ashley Barnes. Mark Hughes’s side have won just twice in their last nine outings, and have failed to win any of their last four games away from home, including a 2-0 defeat at Leicester last time out. Stoke currently sit ninth in the Premier League table, however they are eight points behind eighth placed West Brom and just two points clear of Southampton below them, having played two games more. They come into the game on the back of a 2-0 home defeat to Tottenham Hotspur, however their home form throughout the season has been generally impressive, securing 29 of their 32 points so far this season on their own ground. Burnley are without a Premier League win since January, a run that has seen them slip to 15th place in the table, just five points above the relegation zone. Hello and welcome to live coverage of the Premier League match between Burnley and Stoke City at Turf Moor.